Shepp Life's a Beach! - Aquamoves – Indoor and outdoor pools, fitness facilities and programs in Shepparton, Victoria. Beach volleyball in Shepparton — for real? In case you missed the news before Christmas or haven’t seen the hive of activity at Victoria Park Lake this week, a small makeshift beach setting has come to Shepparton. Hundreds of tonnes of sand have been trucked in for two temporary purposebuilt courts that will play host to some of the best beach volleyball players in the world for the next three days. It is estimated up to 6000 spectators will converge on Victoria Park Lake throughout the weekend for the world tour event — the first time since 2008 that Australia has hosted a leg of the tour. More than 60 players and 32 teams from nine countries will compete in Shepparton, most of them experiencing the city for the first time. Included in the field are three female Australian Olympians, with a strong international contingent from New Zealand, Canada, Germany, Slovakia, Czech Republic and Japan. It is a privilege for the region to host some of the world’s best players, and no doubt they will put on a great show for everyone who turns out to watch. 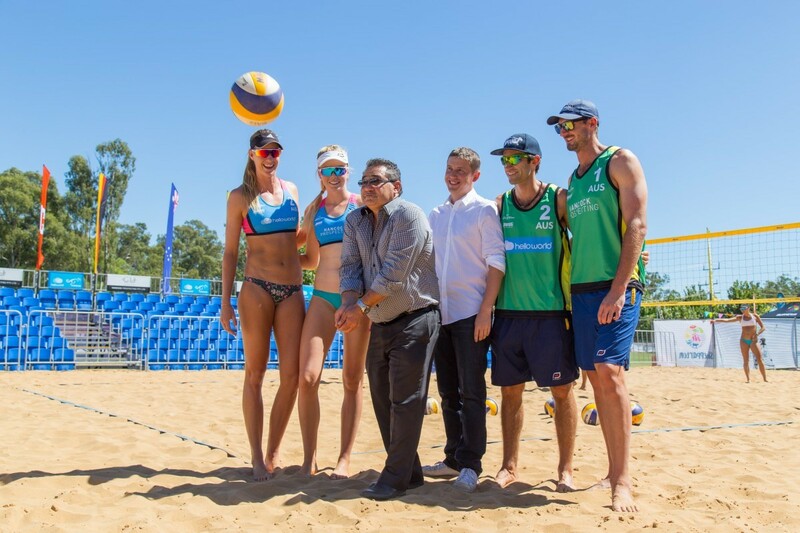 Greater Shepparton City Council, particularly its tourism and major events team which has been working on the project with Volleyball Australia, is to be applauded for its initiative. It’s a credit to everyone involved to bring such a unique event to Shepparton, a real novelty for the city. No doubt there is a significant financial outlay to bring an event of this type to town, but it is predicted to pay dividends with economic stimulus to the region. The beach volleyball coup is just one of a host of significant events that Shepparton has secured, including Challenge Shepparton, a national motocross event in July, an international squash tournament in August, and the Swimming Victoria Country Championships in January next year. Shepparton continues to establish itself as an events destination, and it is becoming a real strength of ours. So we encourage everyone to get out this weekend and support the beach volleyball and enjoy the fact we will have some of the world’s best competing in an exciting sport right in our backyard. With free entry today and tomorrow, and affordable prices for tickets for finals day on Sunday, it really does present an entertaining and family-friendly option. Article curtesy of The Shepparton News from Friday 3 March 2017.